Get the kids to preschool, do the grocery shopping, finalise this marketing plan, plan that event, cook dinner – these are only SOME of the MANY tasks that mums like you, have racing through their minds daily. 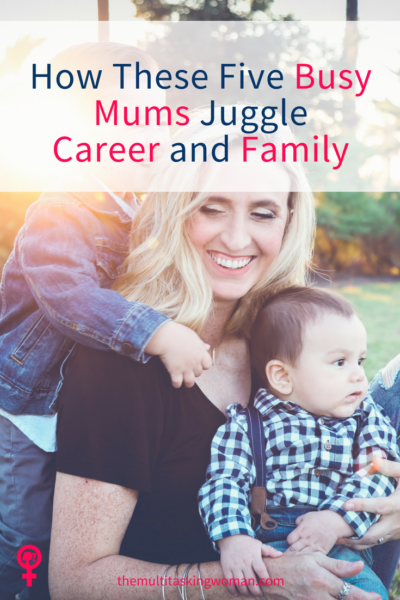 It is safe to say that we have for all mums and the things they have to juggle. We caught up with some busy mums dropping their little ones off at Kids Club Early Learning Centre. Here are their top five responses. Spending a few hours planning your meals for the week might mean saving that extra hour walking around the shops thinking what you will prepare for dinner. Laying out the kids’ and your clothes the evening before so they are all ready to go in the morning, is another small but effective way to become an organised mum! Having a calendar, whether it is on your phone or fridge, but seeing and knowing what events both personal and professional are up and coming can support in planning who will be in charge of pick up and drop off etc. Meal planning and preparing food for the family is popular amongst organised mums. Not sure if you’ve quite figured it out yet? Here is some information on meal-planning for busy mums. Being flexible is easier said than done, especially if you have planned and organised your whole week and something unplanned happens. Being flexible means, you can adapt, go with the flow and manage those surprises. With that said, try not to be too hard on yourself when things don’t go to plan. As much as it is great to be organised and planned, it is also important to acknowledge and adapt to our busy ever-changing schedules. Setting expectations with your employer is super important, it sets a mutual understanding and removes anxiety around family commitments. These expectations may be something as simple as blocking out start and finish times in your shared work calendar so your team can see your movements. If you’re a little worried about negotiating flexible working hours, here are some more tips on how to negotiate flexible working with your boss. This one can be a challenge for many mothers and parents – we put so much effort and attention into our families we forget about ourselves, even just 15 minutes out of the day to breathe and be. To provide a healthy, happy and supportive environment for our families, it is essential we respect our health for our body and mind. I’m sure you’ve heard of the saying about ensuring your own cup is full before you can fill that of others? It’s so important to remember this. Striving for a healthy body and mind doesn’t mean getting up at 5 am and doing boot-camp or restricting yourself to some ridiculously low-calorie diet. It is about remembering you, giving yourself a moment in your day where you do something, or think about nothing but yourself for a moment. For example, these fitness goals are better than losing weight, so why not try this approach to your health and wellness instead? Doing mindfulness and calming activities can help with nourishing a healthy mind and body. Activities like yoga, breathing exercises, walking, swimming, massages, meditation or aromatherapy work well. Accepting help from your partner, family, educators or friends is okay – everyone (parent or not) needs help sometimes. Forming partnerships with another busy mum is a great idea too, perhaps you might arrange taking turns to pick up the kids from school. We all know how busy life can get with working, looking after children, being a guardian; so when help is offered and available there is no harm in taking that offer! Do you have tips on how you juggle your career and family that you can share with us? Mum of 2, Valerie Le Baron is an integral member of the Kids Club Early Childhood Learning Centre team. During her current tenure she’s helped double the footprint of Kids Club’s centres by working closely with Operations, Kids Club’s Educational Directors as well as Carers. Kids Club’s geographic footprint currently includes a number of long day care centres in Sydney and Canberra. She’s also behind Kids Club’s external parent comms and behind the scenes of Kids Club TV.